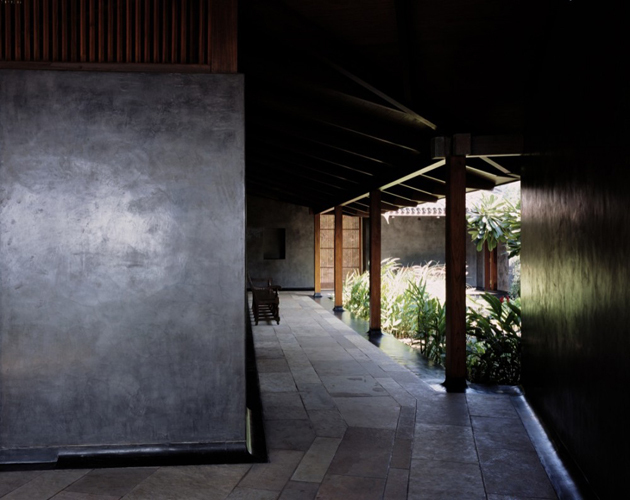 Surrounded by mountains, forests, and the waters of the Arabian Sea, the house is configured around a tropical garden filled with Plumeria, ferns, grasses, bamboo and jasmine. 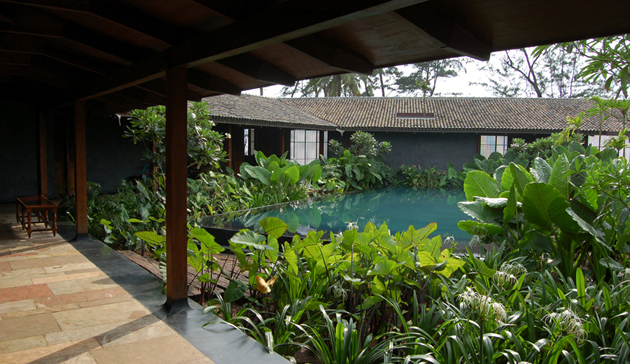 Under the wood framed roof, rooms are loosely arranged around the garden, weaving routes between them through louvred hallways and verandahs. Vertical wooden slats form a protective enclosure, obscuring and revealing views of the surrounding landscape. 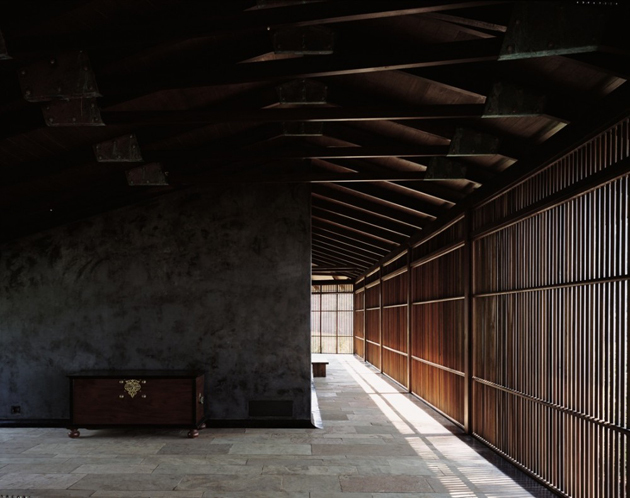 Sunlight filters through these screens, creating patters of light and shadow on the inner surfaces of the building, made up of stone, wood, and burnished plaster. 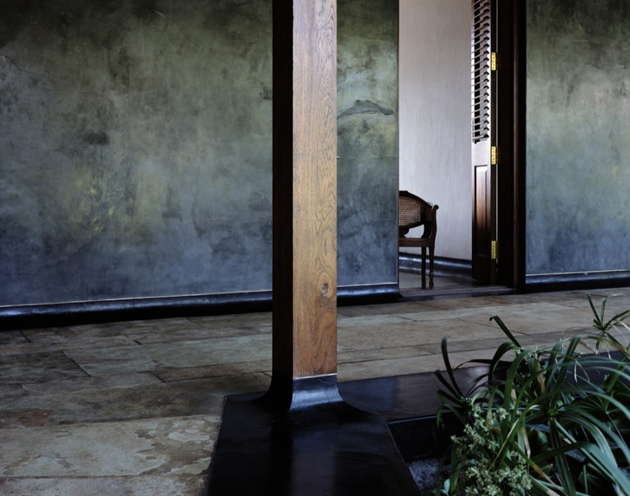 Beneath the courtyard lies a secret room filled with water from a subterranean aquifer. 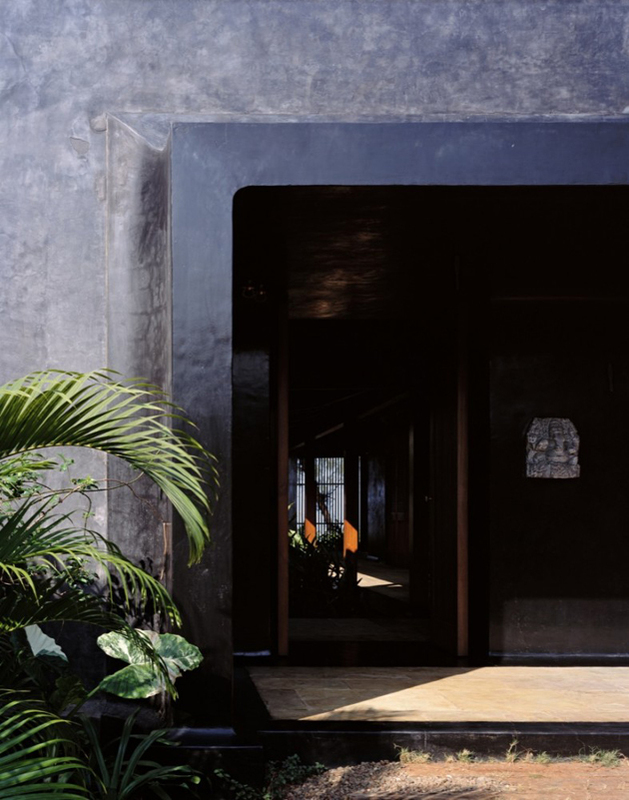 Light diminishes as one descends the stairs through a stone corridor, intensifying a sense of passage into the earth. 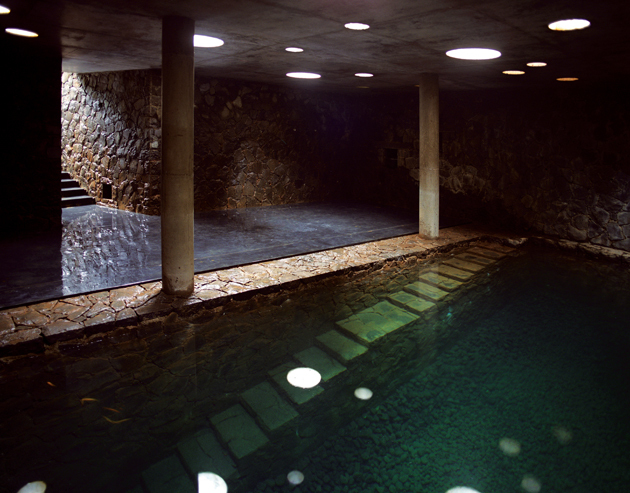 The pool has a comforting silence, as water enters the building without ripples or sound. 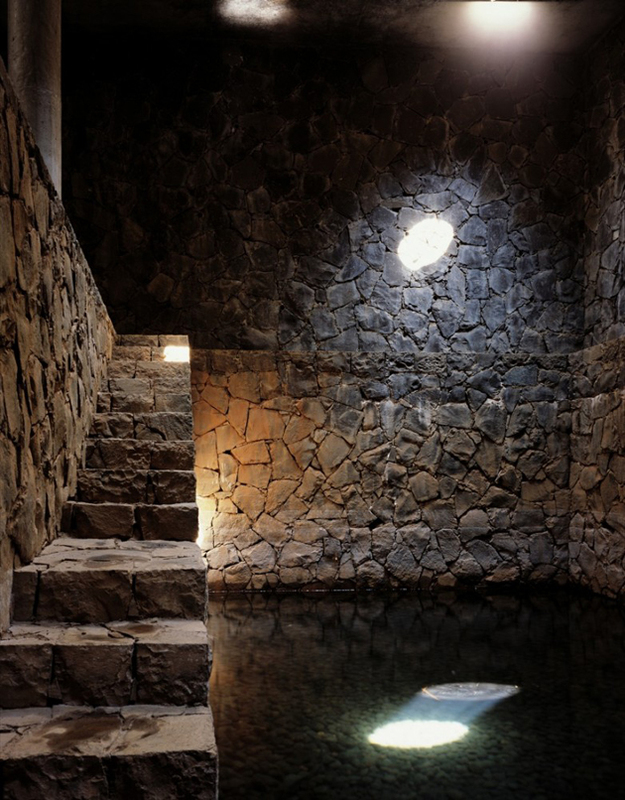 The subterranean room is a refuge from the hot Indian sun, piercing the ground through circular air holes casting shafts of light across the stone walls into water. 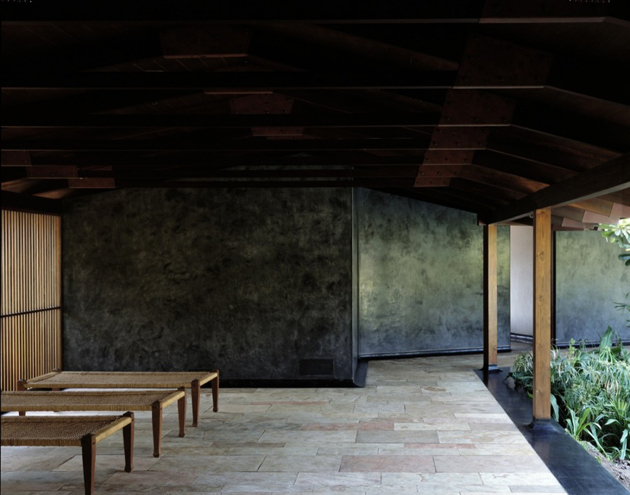 Inside the stone-lined cavity, ocean sounds reverberate from above and water fluctuates freely, responsive to the seasons and tides. When it rains, water from the roof of the house percolates into the well, recharging the aquifer. The artesian well provides water for the house and gardens through the year.